Hello and welcome to the second in our series of Disneyland posts. This week I am going to take you through the main Disneyland Park. Make sure you read part one of this review here and part three will cover the famous parade and Illuminations, coming soon here. The first night we actually spent time at the Disney Studio park which was my favourite area and there is so much in there to cover that it will have it's own blog post in the future, for now lets talk about the main park and rides. Once you get through the entrance gates and into the park you are in the Town Square leading down onto Main Street. In this Town Square you will find the classic train that takes you around the park, this is not something that we had time to try, it does look like a very slow ride stopping at stations all over the park. You will also find all the facilities in this area like toilets, buggy hire etc, this is also where there are meet & greets most days that last for almost all day. Meet & Greet's are controlled area's where you can meet a Disney character and take a picture with them. Disney also have hired staff taking pictures that you can purchase through there PhotoPass card system. I think you can buy a photo pass and then download or purchase prints either at the park or once you get home. This is not something we did this time round because we have phone camera's that did a great job but you might want to get all the pictures sorted for you.More info on the photo pass here. I mentioned last week that my sister struggles with some disabilities and is registered as disabled in the UK. One thing she would not be able to do is walk around all day, so in order to get a wheelchair you will need to find the Accessibility office. This goes under different names in the different parks. In the Studios park it is called Studio Services. The staff in these offices were brilliant and very pleasant. In the studios park the office is on the right before you enter the main studio building (entrance). In the main park it's called the Donald Desk and again is located on the right as soon as you enter the town square. Talk the staff, you may need to provide your disability certificate and they will go through how abled a person is etc for them to provide you with an Access card (green card). This card allows the disabled person and up to five other people quicker access onto the rides. It will also inform staff on the rides as to the abilities of the card holder and they can turn you away if they believe the ride to be unsuitable/safe for them, however this never happened to us but I assume they would do this if somebodies health is at risk. Minnie Mouse is one of the most popular meet & greet's and during our stay she was in the courtyard almost all day. Her house is a big yellow house on your left as you enter the park where she goes into for "breaks". It was really hot during our stay and the characters would have a break every 10-15 minutes, in cooler weather I believe this wouldn't happen so often. These breaks didn't take long though, they are just switching staff members to help keep energy up. In fact all the characters where brilliant with the kids and there energy levels where high all day so switching every few minutes is a really good idea. Goofy is directly opposite Minnie Mouse on the other side of the town square and is a great character to meet however he is not normally there all day, they switch him with other characters like Daisy/Donald Duck. If you want to do the meet & greets in the courtyard then get there early, we used our Magic Early Hours to be one of the first in the queue. This meant we still had the whole day for other rides and attractions but managed to meet some of our daughter's favourite characters. 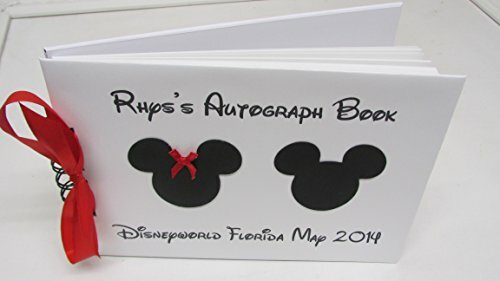 All the characters have there own signature and can sign there name in an Autograph book. This becomes a great keepsake from the holiday. There are loads of different books you can buy but I like the personalised ones you can find, I have included a link to one of my favourite books. Main Street is great for pictures of the castle and it really is like a street with shops nearly all the way down along with the odd bakery, ice cream parlour and other snack places. You can either go into and through the castle or walk to the left or right and walk around the castle, Obviously you are going to go into the castle, you can see some of the inside of the castle here. They have done a great job inside the castle but can you find the Dragon? it's hidden in the basement of the castle. As you approach the castle from Main Street you go to the left of the castle, not inside it. Follow the castle around and you will find a cave like entrance, enter if you dare and see what you find inside. Once you go pass the castle you really are into the park and will see the rides. You walk straight into Fantasy Land, this area has lots of rides for younger children or people that prefer the more gentle rides. You'll find a Carousel, Dumbo, Peter Pan's Flight, Snow White, Pinocchio, Curious Labyrinth, Mad hatters Tea Cups, It's a small world and some other attractions too. There are toilets located everywhere in the park, we never found ourselves to be very far from a toilet and outside most toilets (the vast majority in fact) are drinking fountains. This is a top money saving tip especially in the heat we had. rather than spend a small fortune on drinks, take a drinks bottle and fill it up at the water fountains. 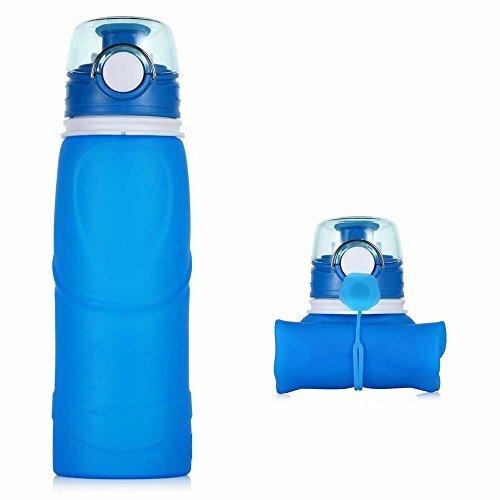 We used these ones because our plan was that when the bottles were empty and not in use we would fold them up and put them in our bag but due to the heat, the bottles were constantly being used. You can even take some of the small Robinson's shots, these are little concentrated capsules of flavoured squash, add them into the bottle and you have a tasty fruity drink for very little money. Highlights from these were Peter Pan's Flight, this is a very gentle ride but very clever, you fly over London and on to Neverland, I really enjoyed there Curious Labyrinth with plenty of surprises, a castle to climb and plenty of photo opportunities too. Always winners where Dumbo and tea cups, you have probably been on similar rides at other parks. We found the queues to be longer in Discovery Land so again if you are staying for a few days it may be worth using those magic early hours to get on these rides early. It seemed like at weekends Hyperspace Mountain didn't open until something like 10.30 or 11am which is when they let everyone in. On the Saturday that we were there a queue formed at the entrance to Hyperspace Mountain before they opened that went right down to the bottom of discovery Land so we missed out that ride on Saturday, when we came back on Monday morning however it was open and we got straight on it with very little waiting. Highlights from this area were all three rides, they are all brilliant, Star Tours was a very clever experience and something definitely not to miss. It is just a simulator but its the best simulator that I have ever been on. Hyperspace Mountain is a full blown rollercoaster, I took my 7year old on who has no fear with rides and she is very tall, this was her first ride that goes upside down though but she loved it. I like that Disney put all of their rollercoasters inside buildings. It makes the park more attractive, much of the queue system is inside to save you from getting wet if it rains and it keeps everything much more of a surprise. This is Disney's method for helping to beat the queue's and it looked massively under used whilst I was there. Next to all of the biggest rides in the park are machines, now these machines are normally themed to match the theme of the ride which makes it hard to find them sometimes. Like on Tower of Terror the machines look like stacks of suitcases, maybe they should all have been kept a uniform design and colour so you know what to look for? These machines have a touchscreen and a barcode scanner, you just scan the park ticket for every person in your group that wants to ride, you pick one of the available times to come back to that ride and the machine will print out a ticket for each person with a time allocated to it. You return at that time and use the Fast Pass entrance for the ride, not the main ride entrance. You then get put right at the front of the queue. It's brilliant but you have to make sure you have plenty of other things to do whilst you wait for your allotted time to come around. Don't waist a minute. We are almost done for this week, but make sure you come back next week to find out more about the Parade and Illuminations shows. If you have any questions you would like to be answered then just let me know in the comments below or through social media. We didn't spend a lot of time in either Adventure Land or Frontier Land but we did ride Big Thunder mountain in Frontier land. This ride had us waiting for the longest amount of time, nearly two hours! (we should have used the fast pass!) By the time we got on it the sun had set which really made the ride even better. This is a great rollercoaster and it is very fast with some great drops but it doesn't go upside down. I hope you get some useful tips and advice out of this post, make sure you take a look at the video above and I'll see you next week.